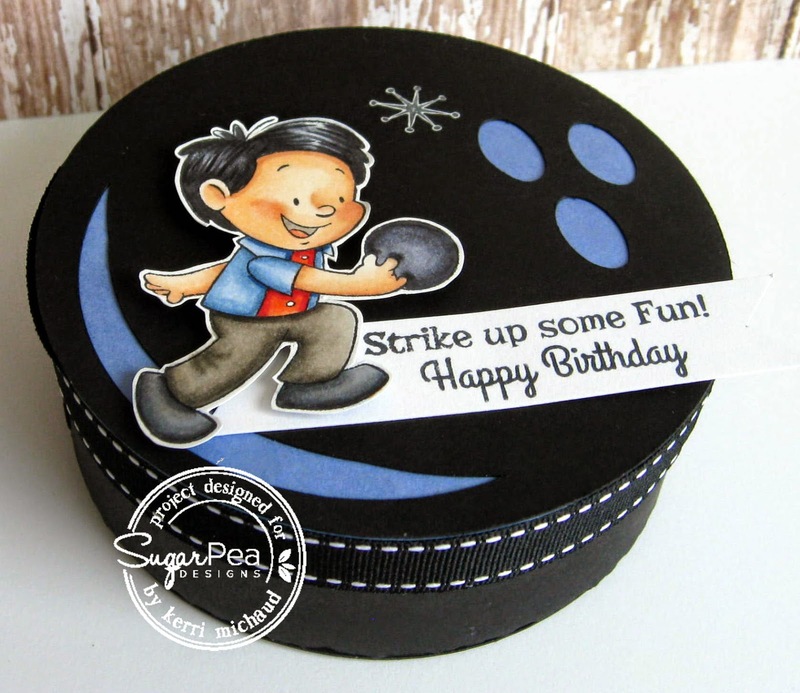 I made a fun little bowling ball shaped box using the adorble stamp set Spare Me. I found the 3D Bowling Ball Box at the Silhouette Online Store. I cut it out and put it together using blue and black cs. I then stamped the image with Memento Tuxedo black, colored with Copics and cut it out. I layered it over the sentiment and stamped the star shaped image with Brilliance Moonlight White Ink. 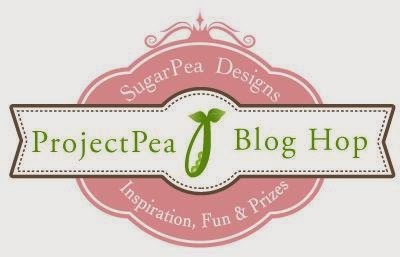 Make sure you hop along and check out projects from the rest of the ProjectPeas! I can't wait to see what they've created! Ack! I Love how you did the box!! So very cute!! this little guy is adorable and I love that you made a box! Awesome! Very clever bowling bowl box and I like how you decorated it. I love the happy smile on this little guy... So cute! Adorable box! Love the coloring! How clever -- love it! I love this stamp. He actually looks like a friend of mine who is/was an avid bowler. Such a cute altered box. So adorable! Kerri, this is just so ADORABLE!! I LOVE it!! Your bowling ball box is adorable!! What an adorable box, perfect for this stamp set! Absolutely adorable! The little boy looks so cute and naughty at the same time! Super cute! Love how you made the box look like a bowling bawl...cool idea! this bowler is on my list but I just haven't gotten it ordered yet. It will be part of my granddaughter's Christmas present - she's the bowler in the family. I meant to say "box" but my fingers rushed over to "card" and I couldn't control them. I love the box. I'd like to have it for Christine too. Smart girl, a bowling ball box. Adorable Kerri. So ute! I love your altered box! So cute, love the box and the colors! Omg!!! This is so cute!! I bowled in a league for years & years and I am loving this set! Such a fun cut sentiment!! I love this fun shaped card! This is definitely very original. WOW, a winning idea, clever and FUN!!!!!!! Your bowling box is so cute! Love it!! I'm so excited for the projects - what a super cute idea!! Way too cute! Love this image! 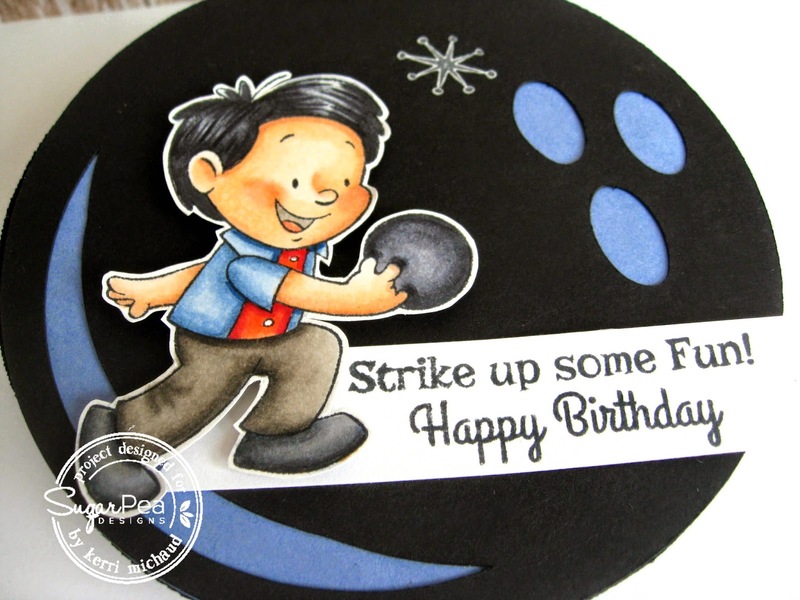 What a clever idea - love the little bowler. Wow! This is adorable!! The bowling ball box (didn't know such a thing existed!) is perfect, obviously, and oh, so cute! Such a great idea.